Deadline is reporting that the proposed Agents of S.H.I.E.L.D. spinoff has been officially abandoned by ABC and Marvel. The spinoff was set to star Adrianne Palicki and Nick Blood in the wake of events (no spoilers here) from the second season S.H.I.E.L.D. 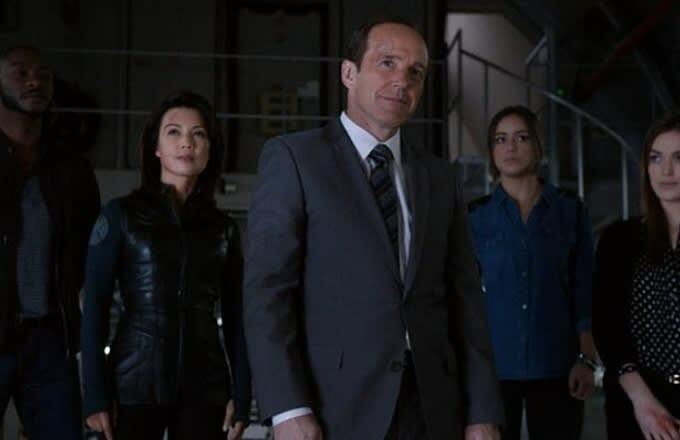 Fans received their first hint at the spinoff&apos;s death when news broke that ABC had renewed both S.H.I.E.L.D. and Agent Carter, leaving little room for more Marvel. Though the S.H.I.E.L.D. renewal comes as no surprise, Carter&apos;s fate was far more questionable. In addition to those Marvel behemoths, ABC also renewed Shark Tank, 20/20, Beyond the Tank, America&apos;s Funniest Home Videos (? ), Dancing with the Stars, The Bachelor, American Crime, Scandal, Nashville, Modern Family, Galavant, Castle, Grey&apos;s Anatomy, How to Get Away with Murder, Once Upon a Time, Secrets and Lies, Blackish, Fresh off the Boat, The Goldbergs, and The Middle. Marvel&apos;s The Bachelor is surely imminent.